Looking down on paid reach is a thing of the past. More companies than ever before are using social media as their main source of advertising to reach out to their audience on a daily basis. However, not all social media platforms are alike; they attract people and receive attention differently. This means it’s important to analyze your target audience by figuring out where they spend most of their time on social media, to maximize the number of clicks and follows you’ll achieve. Your first step: Get to know the different ad features that different social media platforms offer. If you’re thinking of paying for reach, Facebook is most likely the first to come to mind. Why? —Well it is because the social media giant has taken the lead for most active users. With over 5 million companies investing in advertising, ad revenues have grown tremendously, thus CTR will also see a likely increase—giving brands that needed exposure. Ever since Instagram started offering promoted advertisements 75% of users actually click on the ads and visit company websites, tell their friends, post about it onto another platform, and even make purchases through these ads. Most Instagram users have also claimed they learned more about advertised products or services through these ads. The simplest form of an ad; conveying your message with the power of a single image. If you are looking for a cost efficient way to convey your brand message, video ads are the way to go! Video ads can help you show the true nature of your brand, and is more likely to leave a long lasting impression. Brandnetworks have found that the number of impressions on video ads has grown increasingly within a short period of time, and with the potential to grow even further there is no reason to be skipping out on this one! They say it’s the most efficient form of ad, showcasing a slideshow of images at a time. According to Digiday, carousel ads have a 10 time better CTR than the standard sponsored posts. As this type of ad is visually heavy, it is the perfect way to convey a story that’s true to your brand and its image. It’s an amazing way to market yourself or your company to your targeted audience. However, they only work to your advantage if your brand is a producer of material products instead of services, since it’s easier to market a tangible product on a visually heavy platform. A recent feature exclusive to Instagram, these are full-screen ads that appear as users scroll through their story dashboard. 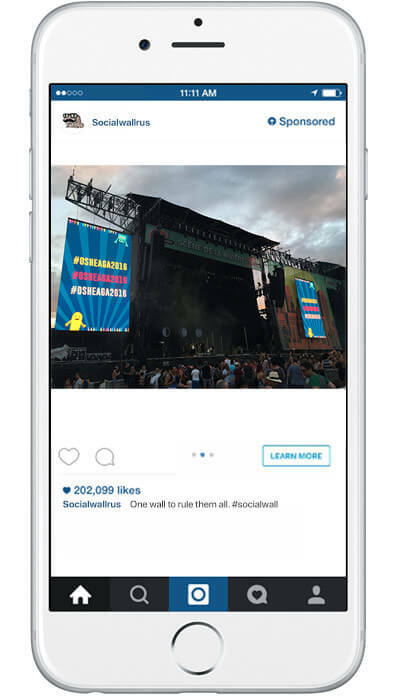 With 200 million Instagram users daily, advertising through stories has become a new and effective tool for brands. 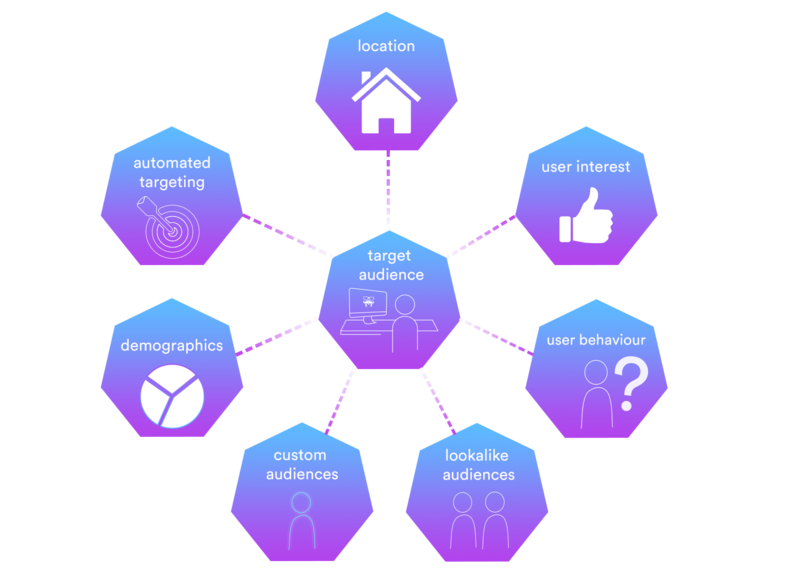 Not only will companies be able to reach a wider audience, but they’ll also be able to increase interaction and engagement with their existing followers. Ads are presented to users based on their searches, views, and likes, and are showcased to users that prove to have similar interests. This is a superb function because it brings attention to your brand from the right audience, while allowing you to engage with your online market without demanding any additional work from the user. Instagram also provides business accounts with analytics on performance demographics such as reach, impressions, replies, and exits on all your ads. You can even customize your settings to see only the data you’re interested in. Both social media platforms have much to offer businesses. By increasing the number of users and engagement rates, they allow brands to build strong and desired identities.